The 4-star Bridge House Hotel in Tullamore, Offaly, is a traditional, welcoming and family-run hotel in the heart of the Irish midlands. Offering genuinely warm Irish hospitality and comfortable accommodation, it’s the friendliness and facilities that really set this place apart. With two bars, two restaurants, a nightclub, snooker hall, leisure club and spa, the hotel offers great value and enough variety and entertainment for the whole family to enjoy. There are several great golf courses in the area; Mr Fluff enjoyed a round at Esker Hill while I, predictably enough, explored the spa! And there’s plenty to explore – as well as the usual treatment and relaxation rooms, the spa offers up several more unusual options to help you switch off and unwind. I tried out the Egg chamber and the Alpha Lounger, which both use light, vibrations and massage to promote deep relaxation. I also indulged in a full body massage which was just divine, with the therapist working out the knots acquired from both bad posture, and a particularly stressful, busy week at work. And the White Flag award-winning leisure club, too, deserves a mention – not for the lovely Romanesque pool or thermal suite, delightful as they are, but for what I’m afraid I’m developing a fully-fledged addiction to: a glorious outdoor hot tub. Food wise, we enjoyed dinner in Balcone Italiano on the mezzanine floor, which is colourfully decorated and serves up hearty Italian food, and plenty of it. The Michelin Guide recommended Charleville Restaurant is another option, or you could relax over a light lunch or afternoon tea in the comfortable lobby. There’s a lovely, bustling atmosphere too – this place is busy, and it’s not hard to work out why. The staff are to be especially commended: they were without exception friendly, obliging and professional at all times; you’ll very quickly feel at home. Located less than 90 minutes from Dublin, Galway and Limerick, the Bridge House makes an ideal base for exploring Ireland’s midlands. If you find yourself in or close to Tullamore, do visit and try it for yourself. 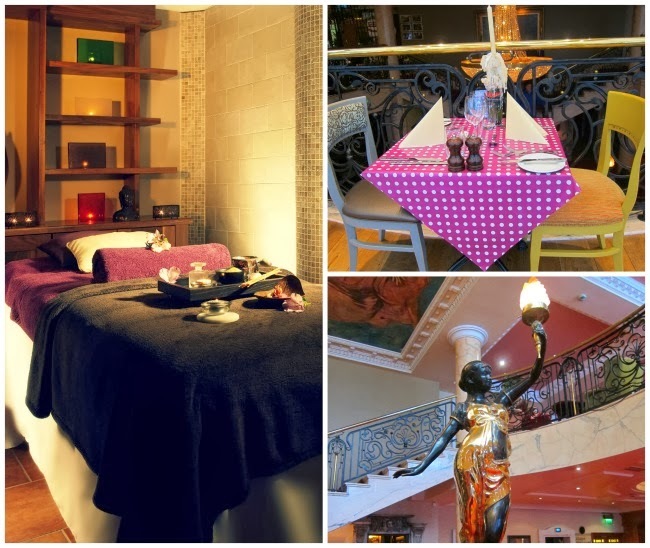 A 60 minute full body massage is €70; the hotel also offers great value breaks including 2 nights B&B, 1 dinner, a spa treatment and a session in the relaxation chambers from just €149 pp sharing midweek, or €189 pp sharing at weekends. On this occasion Fluff and Fripperies was a guest of the hotel. An outdoor hot tub, i’m sold! The indoor pool looks soooo inviting! A really lovely welcoming hotel with fantastic food! The nearby golf course, Esker Hills, is fabulous as well. Sounds like a lovely treat! OMG would you look at this place! I soooo want to be there, even if it's just to chill for an afternoon! Ahh I could get used to a wonderful hot tub and massages! I love how regal it is! So pretty! I lived in Tullamore, once, and The Bridge House is such an institution there! 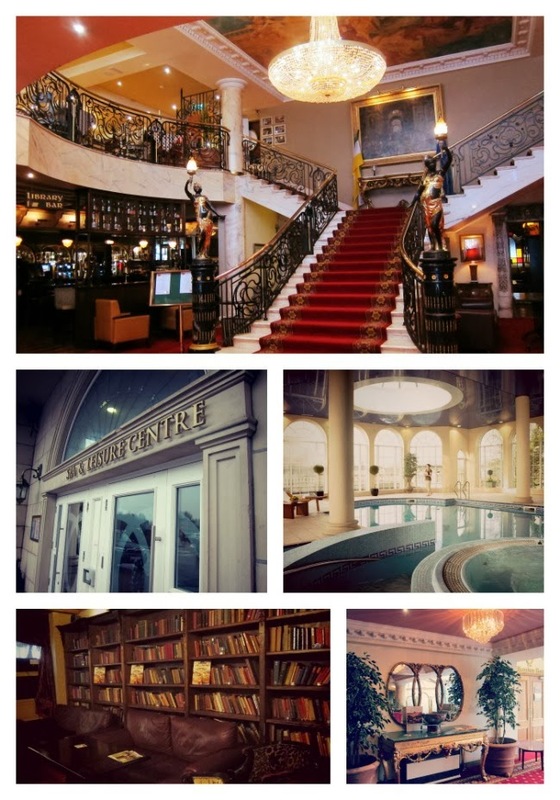 This hotel looks absolutely charming!